Healthcare insurance providers often understand the importance of marketing but fail to use the most recent methods. Krishen Iyer is an entrepreneur and the CEO of Managed Benefits Services, a lead generation and consulting firm focused on health and dental insurance verticals. With an effective marketing strategy, you can boost your profit and grow Whether you live in a small town or major city, the advice you are going to get can take your business results to a whole new level. Some people try a few of the methods and quit if they don’t get positive outcomes the first time. Rather than falling into that trap, Krishen Iyer recommends making small changes and tracking the impact they have over time. It might not seem like much at first, but it will make a difference over time. Also, the things you learn will take you far, but you can alter one or two steps at a time to make them unique to your practice. Making your approach fit your needs is another powerful move down the right path when you want to get the most from your time, dedication and effort. As 2019 comes in full force, it’s vital business owners refresh their marketing and evaluate what can be changed. Here are 8 marketing trends to consider when changing up your company’s marketing strategy. Although some marketing and business experts have moved away from Facebook and toward other social platforms, as though Facebook is losing its relevance. Despite the data breach and the privacy scandal of 2018, Facebook still maintains a large user base as the leading social media outlet. The benefits for health care and dental insurance providers are better than they are for most other markets. At the end of 2018 and the start of 2019, people over the age of 65 made up more than 40 percent of Facebook’s user base. This means health care and dental providers have access to a vast source of prospective patients if they know how to tap into it. Facebook can be used to get impressive results if you know where to begin, and Krishen Iyer is one of the top experts in the field. According to him, you can use this social site to target patients in the age range you treat the most. Begin by creating articles and health tips that appeal to the people you want to attract, and it will go a long way toward the outcome you have in mind. Keep track of your marketing budget and find ways to reduce it. Iyer recommends watching your response and finding ways to create posts people enjoy the most. Since Facebook rewards you with cheaper ads when people engage with your content, making relevant posts may attract customers and lower your marketing overhead. When you want to take your marketing effort to the next level, Instagram is the best resource. It allows for easy promotions and gets your message in front of prospective clients. As a marketing platform, Instagram is best for those who are targeting customers under 30. Krishen Iyer predicts 2019, Instagram will continue to be one of the strongest social media sites as it continues to enable new features. Marketing on stories has continued to grow along with the popularity of sponsored influencer posts. The way you approach your marketing plan depends on the types the audience and the location. Tailoring your approach to your audience is how you get the most benefits from each marketing dollar you spend, and the right attitude can transform your results sooner than you once thought possible. Instagram puts its focus on visual content which is why users go there. Companies should continue to use high-quality images that portray a message. Your target market will see the content and be much more likely to take an interest in you and the medical services you provide. Doctors who treat young children can promote images of happy families getting care at their facility. Like with Facebook, you can go to your control panel and see how people are responding to what you post. If you are not generating much attention, you can change a few things about your ad or targeting and try again. According to Krishen Iyer, chatbots are going to play a big role in 2019 marketing plans. Consumers who go to websites and sometimes have questions about a service provided. When your mission is to thrive in a competitive market, you can’t afford to let people walk away from you if you can help it. This is where chatbots come into play, and they can do amazing things to assist a customer base on a 24 basis. Chatbots interact with your web visitors and point them in the right direction so that they don’t lose interest. When you add chatbots to your website, you can reduce your bounce rate and increase the number of leads you turn into happy customers. The outcome you get depends on the chatbot software used. Most of them have options you can change including what messages are seen and when the site manager gets alerted. For example, the software may offer the option to enter default responses for a chatbot based on the questions visitors ask. Advanced chatbots can recognize patterns and learn how to respond to some questions without input. One thing to note is that setting up a chatbot and fine-tuning it will take some time. As an example, you might not be able to plan for each question people ask your chatbot. Visitors are usually able to see common questions and add the answers to improve your chatbot’s effectiveness. Although some users may claim this approach is impersonal, it allows for new site visitors to have easy access to answer to any possible questions. People once focused all their content effort on text articles, but things are changing. While consumers mostly used desktops to search the web in the past, many more people now access the internet from smartphones and other portable devices. They use their phones for entertainment while waiting in line or stuck in traffic, and smart marketers take advantage of that fact. Use short and engaging videos to connect with users. Doing so improves your bottom line and puts your message in front of those who want to hear it. Speaking the right way and using proper lighting is a vital piece of the puzzle you can never overlook. Video creation is vital for brands that want to expand. This approach shows people that you care and that you have the required expertise and experience to manage their health. People want to know they can trust you, and using videos the right way lets you achieve that goal. In addition to speaking with the correct tone, don’t forget to pay attention to your body language. The way you carry yourself tells others a lot about you and what’s on your mind, and you can’t afford to send the wrong message. Also, the room in which you film must have adequate lighting. When you shoot your videos, ensure that the room is clean and well-organized. Like anything else in the world of marketing, what you get from your video campaign depends on what you put into it. Those who cut corners and put in half the effort can only expect half the rewards. If this plan is worth putting into action, it’s worth doing it the right way. The correct lighting combines with your body language and voice tone to create videos that are sure to grab attention and inspire interest. No matter the topic of your video, include a strong call-to-action toward the end. You would be surprised at the number of people who will enlist your help if you tell them to do it. When you present yourself as a caring expert who values the well-being of customers. your video marketing plan will go far in 2019. A lot of people think video marketing and live videos are the same, but they are not. Video marketing is about creating videos that people can watch whenever they want. Live videos, on the other hand, are something much different and offer their own set of advantages. If you wish to grab the attention of your audience and hold it until the end, live video streams allow for a more intimate connection with the audience. YouTube, Twitch, Facebook and many more platforms have native functions that support live video streams. Instagram Live has grown in popularity since it’s beginning in 2017. Brands will use the live streaming platform for fundraising events, giveaways, and more! If you are using YouTube or other social sites, you will be happy to learn that they often give live streams higher rankings than they give other videos. That means you are much more likely to get organic traffic to your feed. Social sites give live video streams priority for a reason; users enjoy watching live videos. Live videos give subscribers the opportunity to ask questions and creators can give real-time answers and feedback. The benefit is that content creators and brands can establish themselves as experts and have personal conversations with tons of prospective customers. Krishen Iyer is an expert on live videos and suggests that marketers promote the live video at least a week or two in advance on other social media sites. Doing so gives you the chance to get as much attention and exposure as possible, increasing your odds of doing a successful stream. 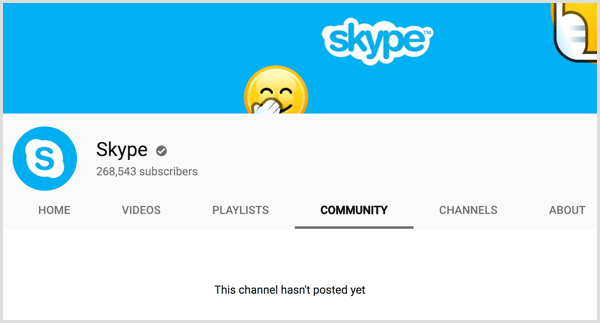 Youtube recently created a community tab that allows creators to share updates with subscribers about new posts and live streams. Although Krishen Iyer knows that technological advancements have changed the way people view and use digital content, the Carlsbad expert still sees the value of traditional content. Blog posts, articles, and email autoresponders still have a place in every marketer’s toolkit, and they can do wonders for your practice. In fact, standard content has some advantages over video marketing, and you need to consider them if you want to make the right choice for your business. Although you can give an outline to your video, it’s still much harder for people to skip to the exact sections they want to watch. You need to consider how much bandwidth people are willing to use at a given time. For example, some smartphone users have limited data plans and won’t want to watch a video while they are on the go, and text content uses much less bandwidth. With text content, you can include internal links that take people to the section they want in an instant. Text content does not use a lot of bandwidth, and many people with limited data plans can read tons of articles without using up their bandwidth. To implement a marketing plan that reaches as much of your target audience as possible, don’t overlook the value of standard content. If your website does not already have one, consider adding a blog tab. This gives site visitors the option to view updates, client stories, and more. You can also utilize other platforms to share updates on the blog. Blog posts increase the visibility of a website on search engines and provide more organic traffic and communicate an authentic brand story. Email marketing became a significant hit between 1995 and 2000, a period to which many refer as the dot-com boom. Marketers in all industries soon learned that people who visit a website are unlikely to buy something the first time. Email marketing changed the game by allowing marketers, business professionals, and medical experts to stay in touch with their clients and build trust over time. The same approach worked well for over two decades, but the email marketing game has changed. Some people who don’t understand how email marketing has evolved believe this type of marketing is no longer relevant, but they could not be more wrong. Email marketing works as well now as it ever did, but you must adjust your strategy if you want to make it work over the long term. According to Krishen Iyer, the key to using email marketing is to make it as personal as possible. Tools like Mailchimp allow users to create custom templates for an online newsletter. It also gives users analytics on where engagement occurs and how many subscribers are opening the emails. Voice search has grown in popularity since the rise of the smartphone in 2008. If you are like most people with smartphones and similar devices, you probably use Google’s voice search or Apple’s Siri. In addition to smartphones, you may also have Amazon’s Alexa and a variety of other voice-based digital assistants. Staying ahead of the rest through 2019 and beyond means considering voice search. Brands are consistently investing in marketing through Amazon Alexa by having skills created. Alexa may recommend a specific product when a user asks a question. When posting videos and articles online, it’s crucial to create detailed and concise meta descriptions, which in turn google recognizes well. Earning a spot in voice search can help build traffic and build your client base. Marketers must consider other SEO factors such as tags, titles, keywords, URLs, and more because they impact the outcome you expect. For example, earning quality backlinks to your content and using targeted keywords is still essential. Krishen Iyer believes writing in a natural and engaging way is more important than ever if you hope of getting your content in the voice search. Consider the type of voice search patients in your area are doing, and you will enjoy the rewards in no time. Increased leads, enhanced exposure and boosted trust are just a few of the benefits you can expect when you optimize your content for voice search. Krishen Iyer is a marketing expert and founder of Managed Benefits Services, an insurance marketing company that specializes in providing consulting and lead generation services. His advanced portfolio in marketing came from his long interest in the insurance field. He began in sales during college. While he studied public administration at San Diego State University, he always had a passion for entrepreneurship. With a curious mind and the desire to improve as much as possible, Iyer has achieved a lot of success and looks forward to what he will accomplish in the future. Getting advice from reliable sources is the only way to increase the results of your business safely, and Krishen Iyer has tested and proven each of the things he instructs others to do. Before his time at Managed Benefits Services, he worked with IBS Insurance, which made the Inc 5000 list in 2015. Outside of work, Krishen Iyer enjoys spending time reading, volunteering, and hanging out with his family. He has made generous contributions to the Make-A-Wish Foundation. Many people believe finding causes bigger than yourself is the key to ongoing success in any industry. Whether you practice medicine in Carlsbad or somewhere else, this advice can let you achieve the results you have always wanted.